Bacteria are microscopic organisms with a cell structure that is very different from that of the other kingdoms. Traditionally classified according to their shape, scientists now use DNA studies to refine the groupings of bacteria. 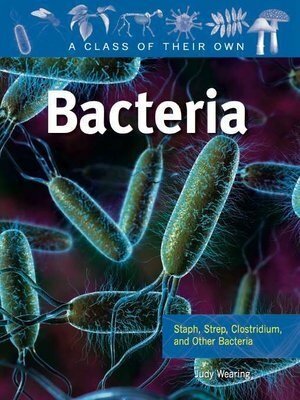 This book examines bacteria that are found in virtually every environment—including those that are characterized by extreme heat, cold, and depth—and, of course, bacteria that are found inside our bodies. Intriguing information highlights the key role that bacteria play in shaping the ecology of our planet, how some bacteria make their own food while others feed on ready-made food, and how some do indeed cause disease, while most do not. Case studies examine the development of new vaccines against bacterial diseases and the use of bacteria to help fight pollution.